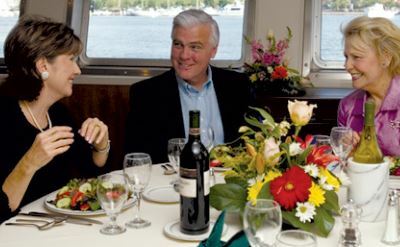 American Cruise Line offers small ship cruises on calm inland waterways. Sail either north or south from Charleston on the Intracoastal Waterway and explore the beautiful towns and islands along the way. American Cruise Line's ships hold less than 120 passengers and have the advantage of being small enough to visit interesting ports that big cruise ships cannot reach. Think of it as an American version of the river cruises that are so popular in Europe. Enjoy this video introduction to the "Historic South and Golden Isles" cruises from Charleston. American Cruise Line ships are modern and built in America, and crewed by Americans. 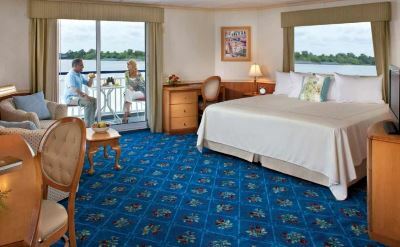 Many staterooms have private balconies. 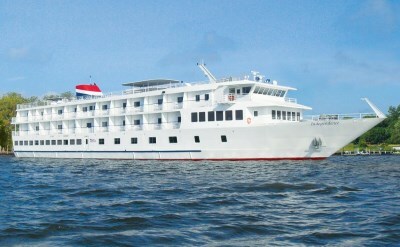 The Independence ship has choices ranging from big "owner's suites" to single staterooms for the solo traveler. The dining room seats all passengers at the same time. There are four lounges for relaxing and socializing. Read an American Cruise Lines cruise review. 7-night Historic South and Golden Isles cruises from Charleston, South Carolina. One-way to Jacksonville (Florida) with stops at Beaufort (South Carolina), Hilton Head Island (South Carolina), Savannah (Georgia), Cumberland Island (Georgia), St Simons Island (Georgia) and Amelia Island (Florida). • 2019 departures: April 6, April 20, April 27, November 9, November 16, November 23, December 7, December 20. 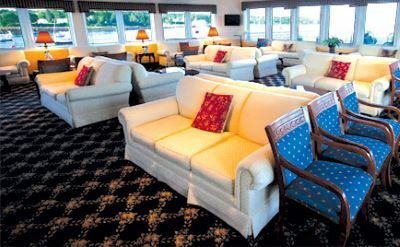 7-night Mid-Atlantic Inland Passage cruises from Charleston, South Carolina. One-way to Baltimore (Maryland) with stops at Wilmington (North Carolina), Beaufort (North Carolina), Kitty Hawk (North Carolina), Norfolk (Virginia) and St Michaels (Maryland). • 2019 departures: May 4, May 11. Have fun. Explore America. Take an American Cruise Line cruise from Charleston.